This item is listed in the the key Australian medal reference, Carlisle as C1914-1918/1 (p. 203). 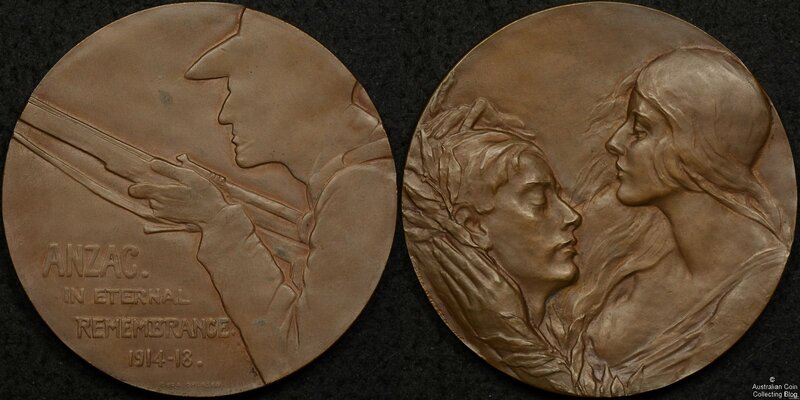 Carlisle says that the fallen ANZAC was modelled by Ohlfsen’s brother while the female figure of Australia was modelled by a Miss Alice Simpson who lived in Rome at the same time that Ohlfsen sculpted the design. Our medal is held in a contemporary satin and felt lined box, with the exterior of the box covered in a maroon fabric with the words ANZAC MEDAL in gilt lettering on the top lid. Carlisle mentions that the medals also included a small card that read “in aid of Australians and New Zealanders maimed in war – 1914-1918”. This card is not present in our example. Ohlfsen was born in Ballarat, Victoria in either 1869 or 1877 and studied sculpture specialising in medallic art in Rome, Italy. She was also a noted musician and writer, and lived variously in Italy, Russia, and Germany. 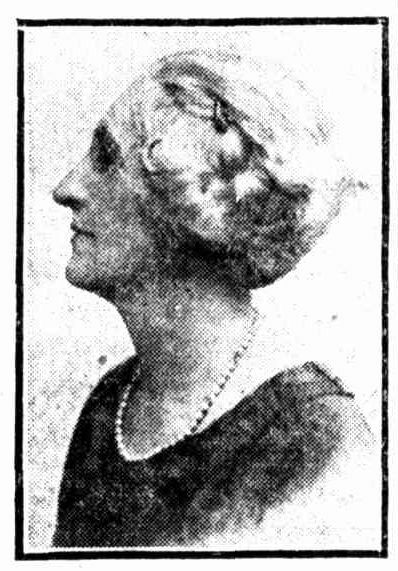 In 1914 she enlisted as a Red Cross nurse in Italy and worked in hospitals in Rome and Venice. Sometime during the war (or shortly afterwards) she produced the design you see above. The European influences on the design of this medal are obvious with the design being much more sophisticated than contemporary Australian designs, which are crude in comparison. Ohlfsen was prolific during the 1920’s and 1930’s producing many well known medals, portraits, and sculptures. She was found dead in her apartment in 1948 along with her companion, the Russian Baroness, Heléne de Kuegelgen. Why was this Medal Made? This medal is among the most important items for the collector of World War 1 ANZAC medallions. They appear on the market infrequently and usually cost a few hundred dollars. That being said it is quite unlike other Australian medallions of the period and make a beautiful and striking addition to any collection. 5. Carlisle, L., 2008. Australian Historic Medals 1788-1988. 2nd ed. Sydney, Australia: Ligare Book Printing.